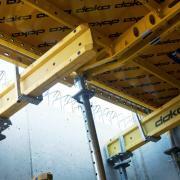 Doka has long offered a strong line of slab formwork systems for every field of use. 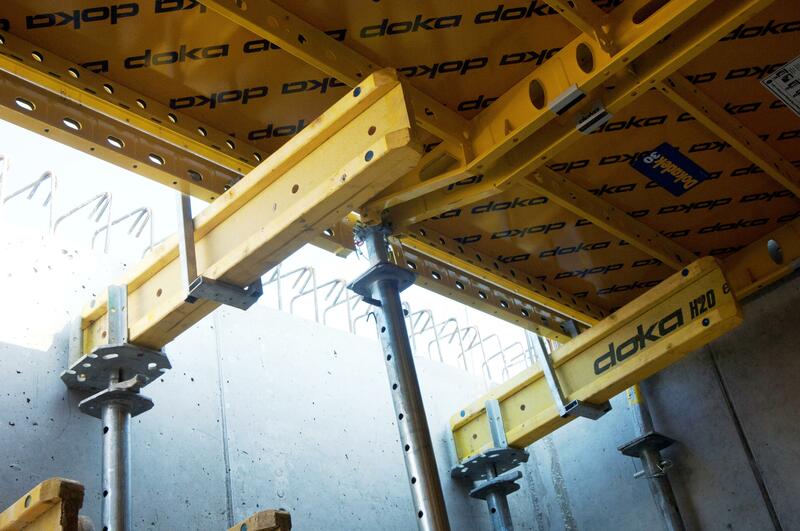 A new addition to the floor-formwork portfolio, Panel floor formwork Dokadek 30 can be seamlessly combined with Doka’s flex and table systems – for getting the optimum match between equipment and task. 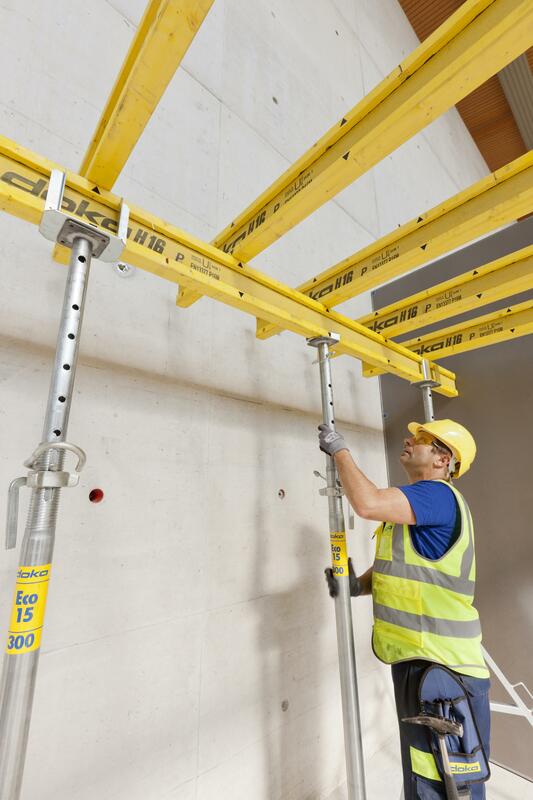 Dokadek 30 is a beamless hand-set formwork system, designed as a lightweight steel construction with powder-coated frames and rugged Xlife sheets. This panel floor formwork system stands out for safety, ease of handling and high speed, not only during set-up but also during dismantling. Infill zones are often ‘tricky’ to form, but Dokadek 30 lets users form these areas within the system too, quickly and safely. At a spacious 3 m², the panels are ideally sized for forming large areas, fast. Dokadek 30 has only a small number of separate parts needing shifting. This speeds up the whole forming-operation. 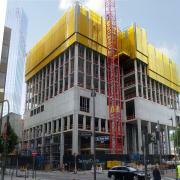 The construction workflow is also much faster, as no crane is needed during formwork set-up and removal. 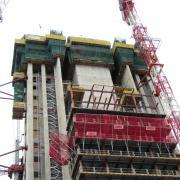 Dokadek 30 is erected working from the safety of floor level, with no need to walk on the formwork. 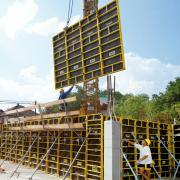 The panels’ rectangular shape means that it takes users much less effort to engage them in the prop heads and then to tilt them up safely from below, even when forming higher slabs. Depending on the requirements, users can opt for Dokadek 30 either without or with drop-heads: simply exchanging the heads and using closure panels turns the standard system into an early-stripping system. Even after very many times of use, the proven Xlife sheet delivers an immaculate concrete finish with a clean, uniform joint pattern. 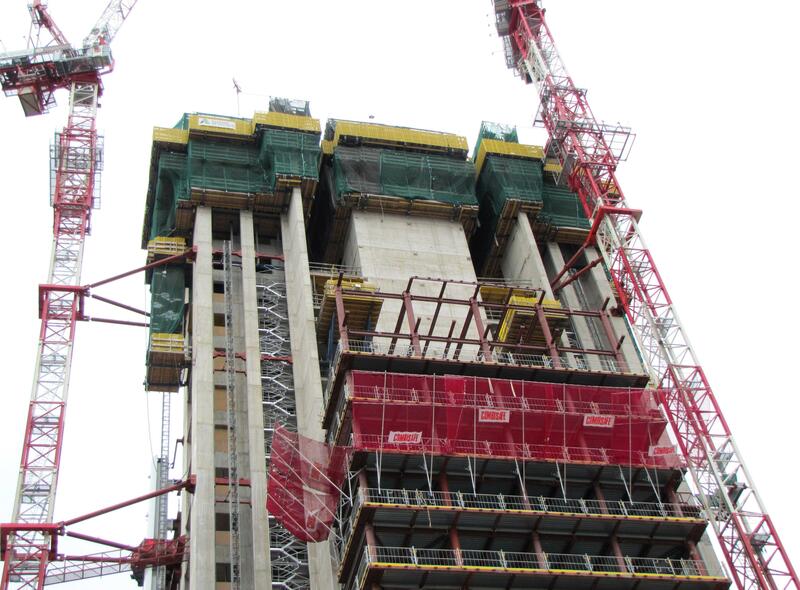 The newly developed gapless Framed enclosure Xbright for the Protection screen Xclimb 60 makes for safe working conditions on the site, shielding the crew in the top levels of the rising structure from the wind and the weather. The self-climbing system is simple to adapt to varying layouts and inclinations, enabling it to be used even on complex highrise projects. Depending on the requirements, users can choose between two different design variants, with frames that have either polycarbonate or mesh inlays. 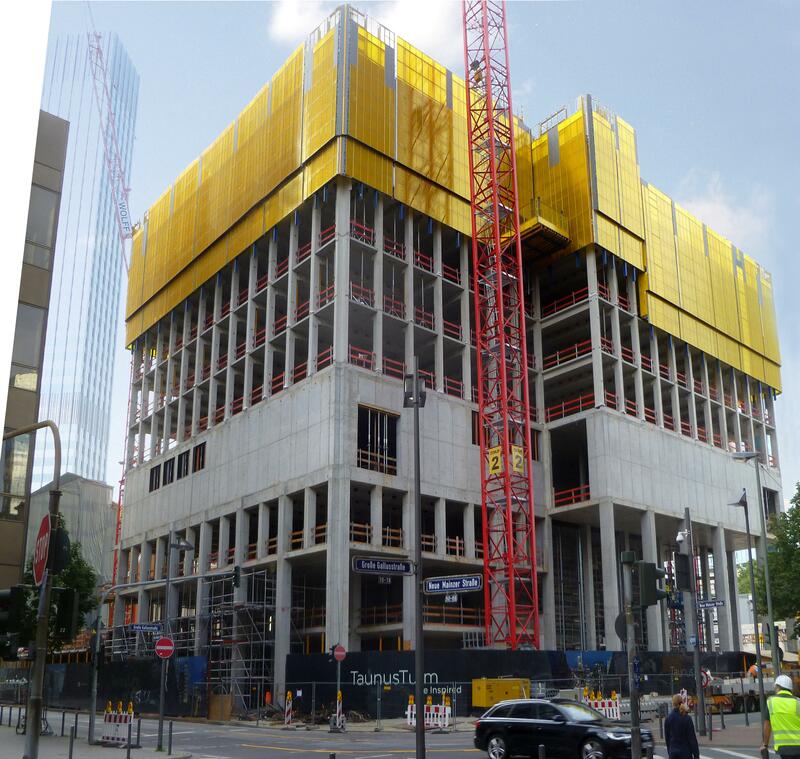 The wind-impermeable, non-see-through yellow polycarbonate inlays make possible a new quality of working, at any structure height. The tough plastic inlay is translucent, providing good natural daylighting inside enclosed work decks – even beneath floor-slab formwork. The frames with the close-meshed inlays are both translucent and air-permeable. The frames’ hot-dip galvanised and powder-coated finish promises a long service life. Another system set to debut at bauma is SKE100 plus, the refined and optimised result of 15 years’ project experience with Automatic climbing formwork SKE100. This crane-independent formwork system is a byword for fast cycle times and great versatility: its modular design concept makes it possible to craft individualised, cost-effective and safe solutions for any type of structure. This more advanced version adds or optimises a number of important details. SKE100 plus is available in three practical standard versions: with travelling units, with rising working platforms, or with a mast system. The latter is a new development specially for shafts and structures being built on confined, cramped sites. The new Tunnel system DokaCC – the name stands for ‘Cut&Cover’ – is the first system to be specifically designed and optimised for cut-and-cover tunnel construction. Different types of traffic tunnel, such as rail or road tunnels, can be built quickly, efficiently and safely using DokaCC. The system provides a high degree of safety against base failure. 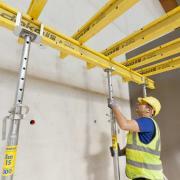 Safe shoring is possible whenever needed, regardless of the type of foundation. 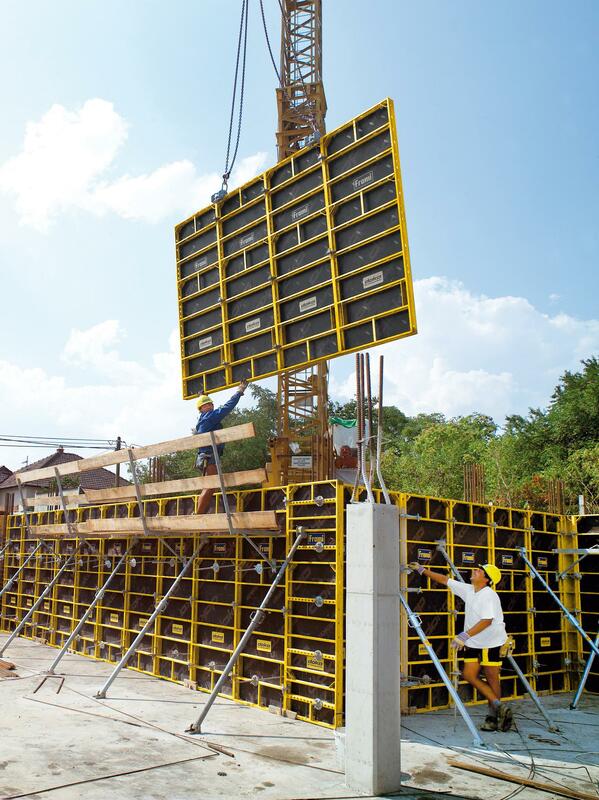 Another benefit of this variable tunnel formwork system is that it is geometry-independent and can be adapted to even the most challenging shapes and routes of tunnel. Thank you for your interest - Bauma 2013. Thank you very much for your interest - Bauma 2013.